The Italian government responded that it is the season of Santa Claus anyway, pointing to the time of fairy tales. The European Commission is starting to enact punitive measures against Italy. That is not a big surprise because the budget did not meet the European conditions. Italy had three weeks to prepare a new budget, but that one also that did not meet the EU conditions. Today, the Commission decided to tackle Italy, as the first euro country ever, for its excessive public debt. Related coverage: <a href="https://thegoldwater.com/news/41944-Italy-Does-Increased-Benefits-Scheme-Risk-Turning-It-Into-Greece-2">Italy – Does Increased Benefits Scheme Risk Turning It Into Greece 2?</a>. Rome did not leave Europe much choice. "Italy is sleepwalking towards instability," said European Commissioner Dombrovskis. All members of Europe are bound by the same rules and must comply with them, he emphasized. Italy already knew what was coming. 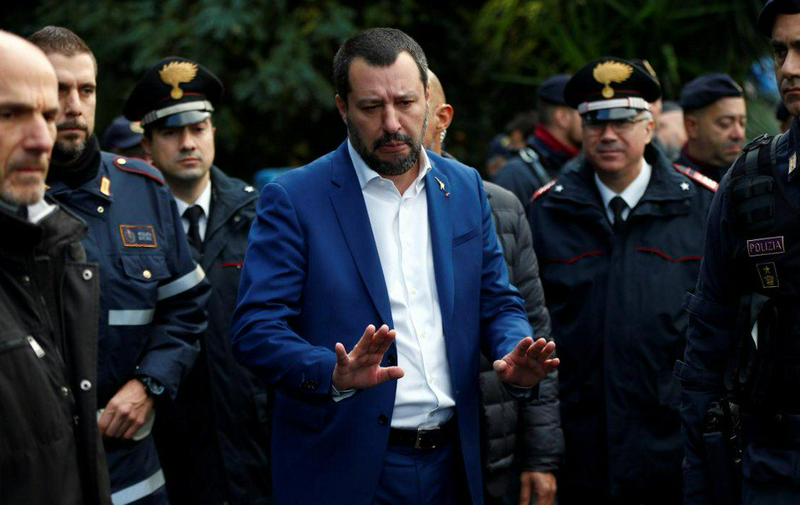 The Italian government responded via a spokesperson that Rome might still be prepared to adjust the controversial budget proposal. He furthermore stated that he was ready to “confront Jean-Claude Juncker, Pierre Moscovici or whoever” over a budget he said responded to the needs of Italians. The populist government of the country wanted to raise the budget deficit to 2.4 percent in order to be able to carry out several election promises. The European Commission did not approve the draft budget, a unique measure, because the Italian plans go against European budget rules. Italy was not yet prepared to make adjustments, which could put the country on the road towards sanctions. The turmoil surrounding the Italian budget recently caused unrest on the financial markets, which was noticeable in the Italian equity and bond market. Italy ends this year with lower economic growth than previously predicted, according to new figures from the Italian statistical office Istat. Growth is now expected to be 1.1 percent, whereas a previous estimate in May 2018 still showed growth of 1.4 percent. For next year, Istat predicts 1.3 percent growth. That is less than the 1.5 percent that the populist coalition is targeting. Unemployment will turn out lower than expected this year and next year. Good for him. He and others are finally realizing that all the EU wants to create is one world in DISorder.